Featuring fast, flavorsome, and fabulous ideas, the recipes in this mouth-watering collection each use a maximum of five ingredients and are ideal for the time-short, budget-conscious cook. The recipes feature flavors and styles from around the world as well as easily accessible ingredients and include fresh salads, succulent fish and meat dishes, healthy pastas, vegetarian delights, sizzling barbecue ideas, and tempting desserts. Lushly illustrated and informative, this helpful book throws long shopping lists out the window in favor of healthy, no-fuss food. 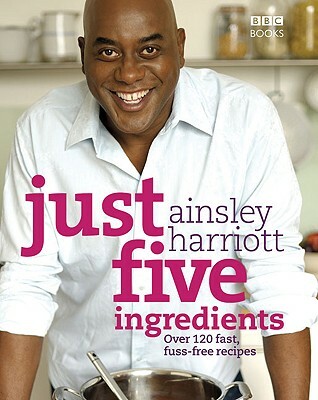 Ainsley Harriott--of the BBC's "Ready, Steady, Cook" and PBS's Great Food series--is the author of several best-selling books, including "Ainsley Harriott's All New Meals in Minutes," "Ainsley Harriott's Feel-Good Cookbook," and "Ainsley Harriott's Fresh and Fabulous Meals in Minutes."